Its hard to describe in words the significance of the past 48 hours for our Western Australian pilgrims. On Monday we returned to Mount Margaret, reconnecting with all the mates we’d made a week earlier. Unfortunately, our message about the sprinklers didn’t quite make it all the way to the top and we found our luxurious sleep in cut short by a thorough drenching at 5:30am. Packed in record timing, it was truly humbling to watch our little crew band together to care for each other and get the job done without a word of complaint. It was a short 4 hour bus ride to Kalgoorlie (everything is relative), and our unexpectedly early start gave us the chance to cruise through the ghost town of Kookynie, complete with a fascinating running commentary from Pete the bus driver – and a visit to Willy, a local horse who spends his days posted directly in front of the door to the pub. 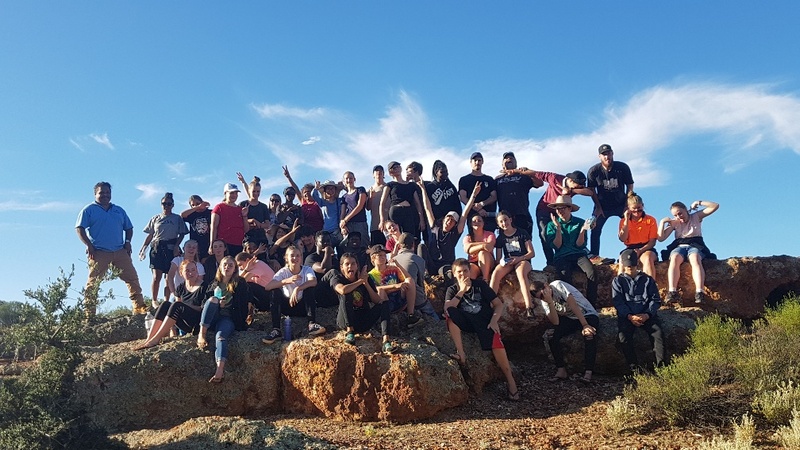 Our afternoon and evening spent in Kalgoorlie had to be one of the most significant experiences of the trip for us so far. 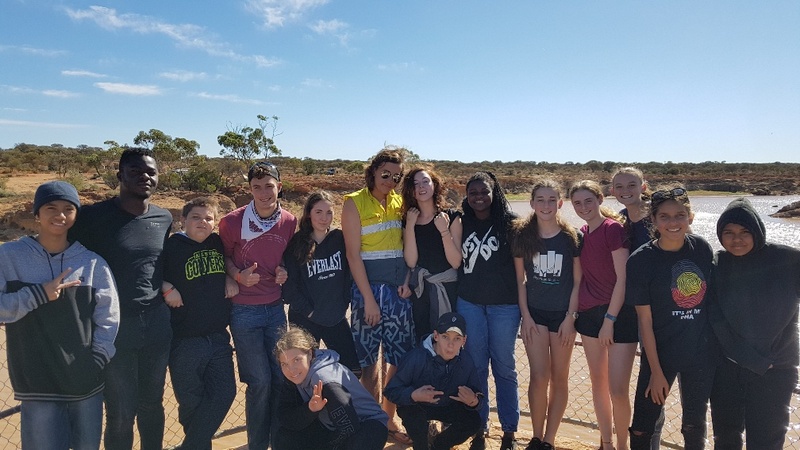 We were met after lunch by local Wongi tour guide Linden Brownley, who took us on a guided tour of the town before leading us out bush to teach and share stories with us. 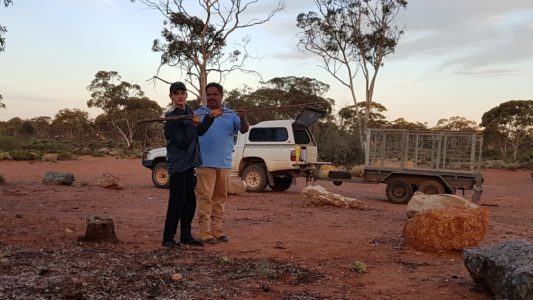 We were met by others from the Bush Ghoodhu mob and had the opportunity to sample some traditionally made Kangaroo stew and damper, hear plenty of yarns and even get a spear throwing demo and the chance to have a go ourselves. We were extremely lucky to be joined at the end by the final member of the Brownley Gospel Singers and hear incomparable 4-part harmonies that gave us goodebumps and brought tears to our eyes. When we left we were no longer strangers but family. So grateful for the experience and left with memories and teachings that will last the rest of our lives.